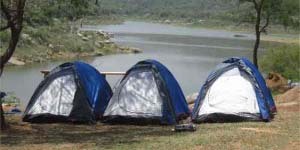 FEVERPITCH BASECAMP, Bangalore’s First and only Jungle and adventure Campsite near Magadi, 38 km from Bangalore city. It is ideally located and easy to get to, lying within an hour’s drive, yet far from din and scramble of the city. Being just a mile off the state highway, by far the most scenic road leading out of Bangalore. 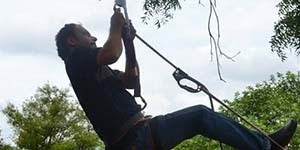 FeverPitch Basecamp is one of the best places for corporate day outing that has been redefined by Fever pitch holidays!!! 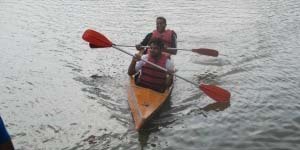 We conduct corporate team outings at Fever Pitch Basecamp, Manchanabele, Bangalore, just 50 km from Bangalore. The location is extremely beautiful and well equipped with all the necessary amenities and facilities. 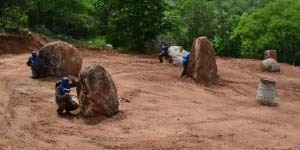 Fever Pitch Basecamp is the ideal location for adventure activities like ZipLine, Rappelling, and Paintball amidst jungle with a Military setup, WaterSports like Kayaking, Canoeing, Coracle Rides, Swimming in natural Waters, and team building activities in Bangalore. 3.) 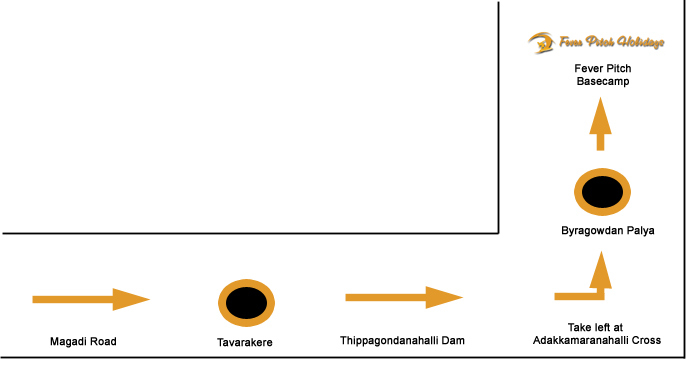 Varadenahalli Hand Post (Magadi Road) State Highway 17E – Our Coordinators will meet you here.